Organising Proms and Prosecco in the Park, a new classical music festival for Shropshire, has got all of us at Fizz Festivals thinking about family festival going. Heading out to festivals with the kids in tow is not considered such a crazy thing to do these days, especially with more and more family-friendly events popping up on the social calendar. But, a bit of pre-planning does help to make the day as fun as possible. Here’s a few top tips to help your family festival outing run smoothly. 1) Food and drink – There’s nothing worse than hungry children so to avoid any meltdowns be sure to pack plenty of food snacks to last the day. 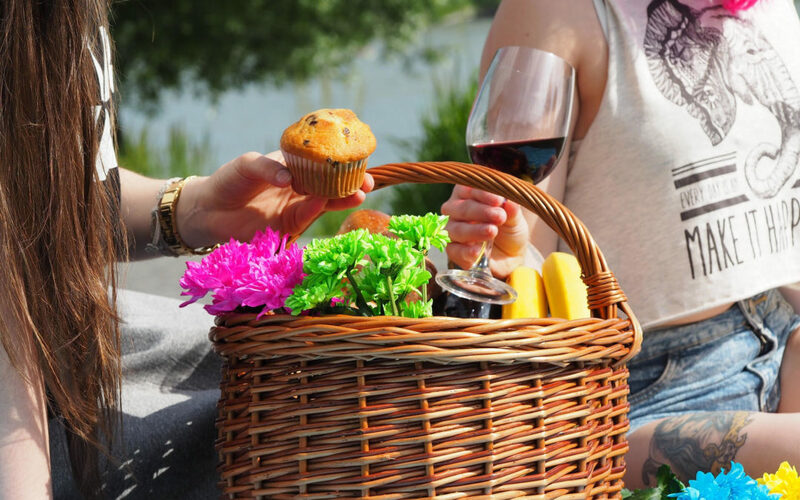 Children love a picnic and Proms and Prosecco in the Park will definitely provide the perfect picnic atmosphere – although there will be lots of beautiful and unusual street food available at the event too! Why not spruce up the picnic hamper with a few of our fabulous food ideas at www.fizzfestivals.com. 2) Fun and games – Whilst the fabulous line up of acts and children’s entertainment planned for Proms and Prosecco in the Park will keep the children busy, there’s never any harm in packing a few extra games and fun things in your bag. There’s plenty of space for children to stretch their legs and face paints, glow sticks and bubble wands are always a hit! 3) Seating –A picnic blanket or two works a treat, but there are plenty of small, portable seats and stools on the market that you could bring along if you wanted that little bit of extra comfort, or why not go all out and bring a collapsible garden table, chairs and even a candelabra! 4) Lights, camera, action! – Proms and Prosecco in the Park is set to be a memorable day out for everyone and there will be plenty of magical moments to capture so make sure you don’t leave your camera or phone at home! A torch might also be helpful so that you can find your way around after sun-down! 5) Plan for all weathers – Pack everything from suncream and hats to rain coats and umbrellas. Being prepared for four seasons in one day is a must for any outdoor event, along with some warm clothes, ponchos, cardis or cover ups for later in the evening.